Log House. This house is located 500' NW of Route 100, .4 miles E of Fountain Run, KY. 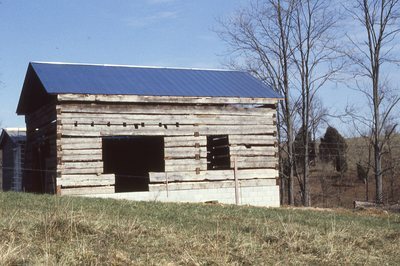 It is a single-story log house with a 2 bay front and a gable tin roof. Due to the block foundation, it appears to have been restored or reconstructed.